Don't look now but, you're soaking in it! Don't look now but, you're soaking in it! 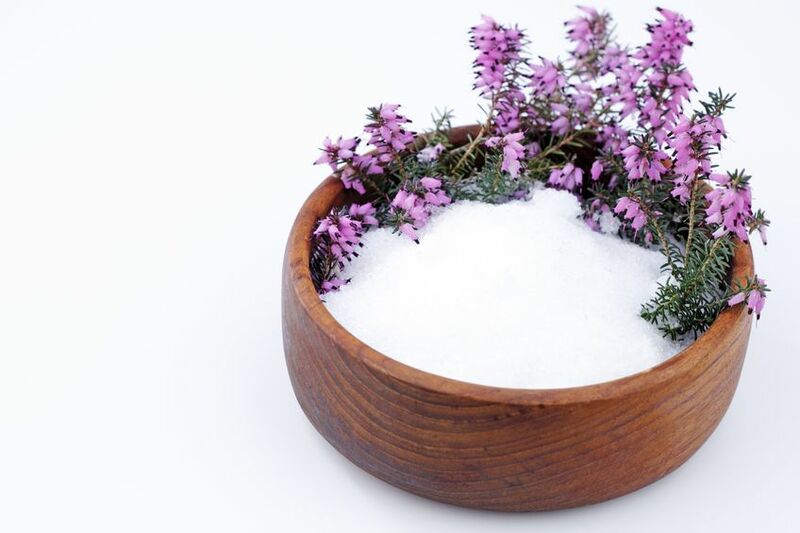 From the benefits of sulfation, a biological process which can activate or inactivate a wide range of compounds and thus biological reactions, to salt-based beauty tips, Epsom salts are making a comeback. Indeed, there is even an Epsom Salt Council devoted to all things Epsom. Originally prepared by boiling down the mineral waters at Epsom, England, the healthful springs at Epsom are no longer used to make this salt. It was eventually prepared from sea water, and is now made from naturally occurring mineral magnesium sulfate; one of only a few water soluble sulfate minerals. When magnesium sulfate is absorbed through the skin, such as in a bath, it promotes perspiration and draws acidic toxic wastes such as uric acid from the body through the pores of the skin. More than just a purgative (a medicinal agent used to purge or cleanse-the bowel in this case), it can even be said to ward off a cold or the flu if taken at the onset of symptoms. “Most people know about the importance of calcium and vitamin D, but many Americans are also magnesium deficient,” says the Epsom Salt Council. “Doctors say it stems largely from the increasing prevalence of processed foods in our diets. Today, 68 percent of U.S. adults consume less than the recommended daily allowance (RDA) of magnesium, according to the Journal of the American College of Nutrition, and 19 percent consume less than half of the RDA.” Magnesium deficiency, contributes to our society's high rate of heart disease, osteoporosis, arthritis and joint pain, and a host of other ailments. It can sedate the nervous system, reduce swelling, relax muscles and soothe general soreness." It is a natural emollient, and even acts as an exfoliator. With the natural ability to digest our food decreasing as we age, we do not have the ability to absorb vitamins and minerals through our food as readily as we once did. Fortunately the skin, our body’s largest organ, can absorb this mineral directly, through the pores. What is the best way to prepare an Epsom salts bath? Use at least two cups of salts and don't fill the tub very full. A half cup of salts per gallon of water is a good amount. It's not costly and it won't hurt if you absorb too much. It dissolves best if you use hot water, stir until the grains disappear, then add cool water to get the temperature just nice and warm. Do not use soap as it will interfere with the action of the salts (I often shower first.) Relax for about fifteen minutes in your bath, step out, and give yourself a thoroughly vigorous rub. Avoid becoming chilled. A simple but very effective treatment. __________________________________________________________________________________ © 2011 Jinifit, Inc.